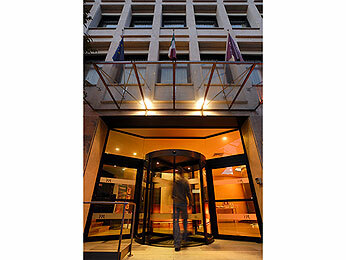 The Hotel Mercure Roma Piazza Bologna offers the utmost comfort and convenience in the elegant surroundings of Piazza Bologna, in the center of Rome. The metro station is just a 2-minute walk from the hotel, giving quick access to the historic center and the city’s main attractions such as the Colosseum, Circus Maximus and the Roma Termini and Roma Tiburtina train stations. Amenities include a fitness center, a modern bar, a meeting room, a private car park and free WIFI.